Are you searching among Belize Jungle Lodges for the perfect destination? Want to travel to Belize for the ecotourism adventure of a lifetime? On a steep bank of the beautiful Macal River, Eco-friendly Mystic River Resort Jungle Lodge offers the best of all worlds to those who travel to Belize. In this oasis of privacy, serenity and rejuvenation, there are no crowds, just the soothing sound of birds, rustling trees and soft breezes. 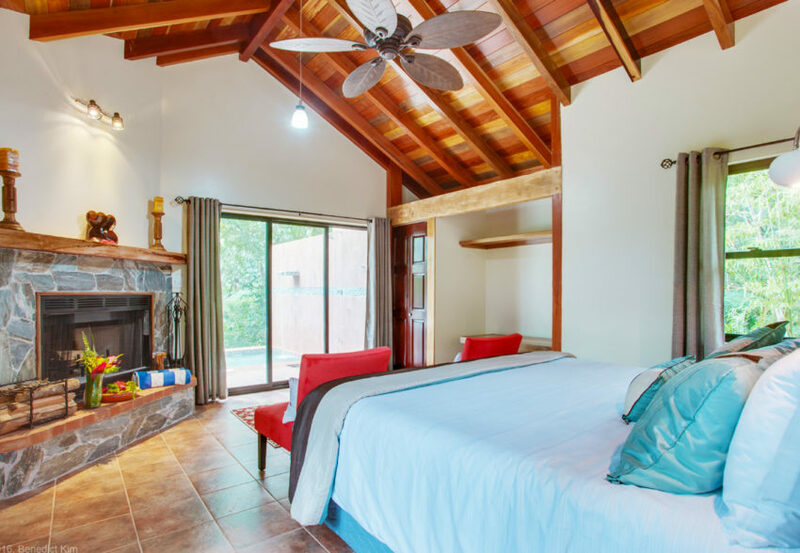 Mystic River Resort Jungle Lodge, located in the jungle of Belize, 7 miles from the twin towns of San Ignacio and Santa Elena, is the best place to find the perfect something – or nothing – to do. Our friendly staff will strive to make your stay with us a wonderful experience. Palapa Jungle Bar- All that while enjoying a cold local beer or an exotic tropical drink, prepared by our mixologist. La Ranita Restaurant-Our menu offers local Belizean dishes to Thai inspired cuisine. We’ve taken some of the best recipes and infused them with local flavors- a taste worth exploring! Nature – Our 180 acres of lush jungle property is covered in hiking trails that our guests can enjoy at any time. Please note that a queen bed along with twin bed can be added to the room for families wanting to share. 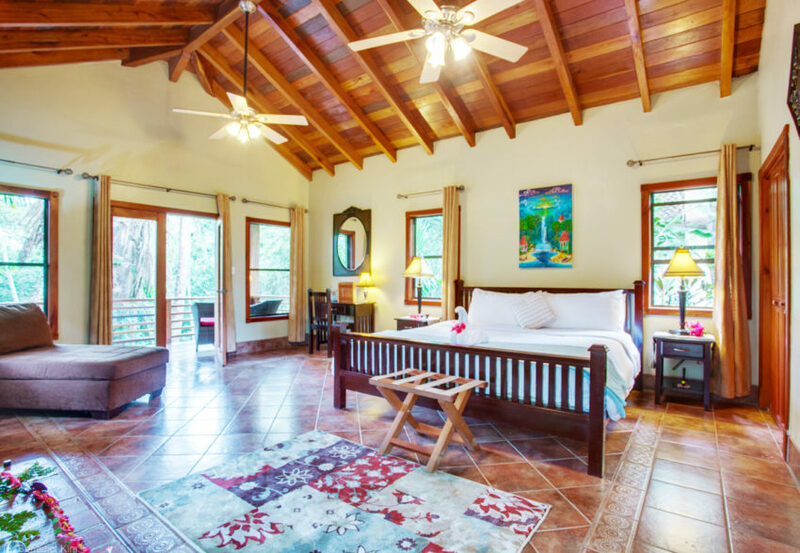 Studios suites feature private patios overlooking the beautiful Macal River and fireplace. All rooms have hot and cold water. Our one bedroom suites feature a separate bedroom and living room for our guests seeking a little more privacy. 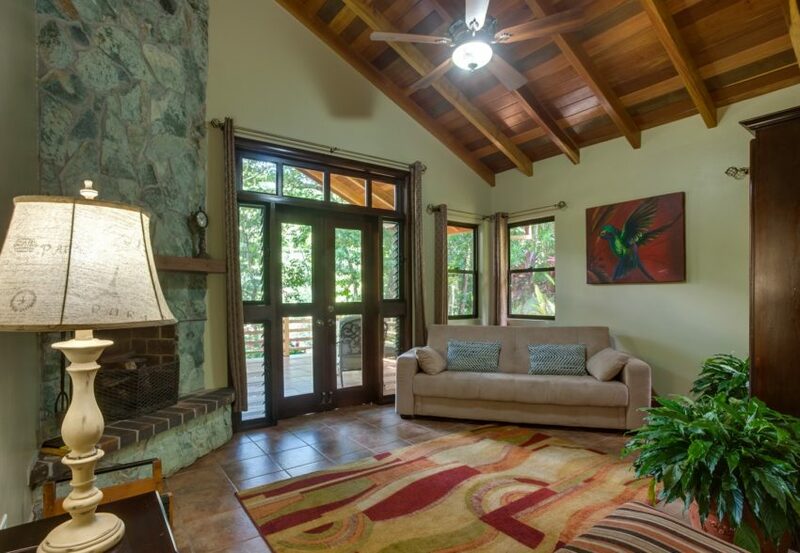 Like all our other suites, it has a fireplace, private patio and a fabulous view of the Macal River. Come join us at Mystic River Resort and enjoy all that the beautiful jungle of Belize has to offer.. Enjoy a complimentary basket of tea or coffee in the morning! Just let us what you prefer and we will prepare it for you! 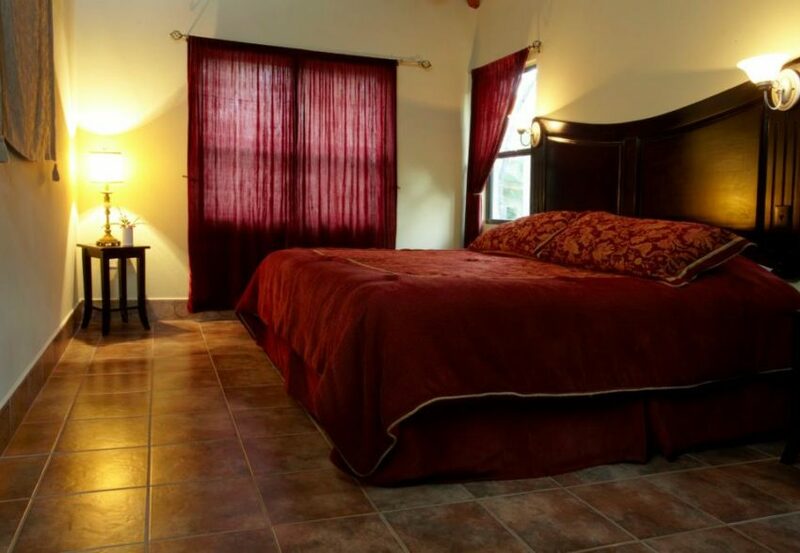 Please note that a queen bed along with twin bed can be added to the room for families wanting to share. Fall asleep gazing at the stars in the pitch of night and wake to the tranquil sounds of the flowing Macal River below. Our 4-Cloud9 Suites are fit for our luxury travelers who enjoys climbing atop ancient temples and caving the Maya underworlds by day and relaxing in a private plunge pool or showering under our outdoor shower by night.